You can also call your representative to save net neutrality and apply for a training to help take back the House. This week’s Take Action Now is focused on net neutrality, the cruel separation of children from their parents as part of Trump’s heartless immigration enforcement, and a great chance for movement training. The FCC’s plan to end net neutrality went into effect this week. While we may not notice an immediate change, big cable companies now have the ability to create fast and slow lanes on the internet. The Senate already voted on the side of the open internet; now the fight moves to the House. Call your representative at (202) 224-3121 and demand that they vote to repeal the FCC’s plan. You can find language and more information at BattlefortheNet.com. Advocates estimate that more than 1,000 children have now been separated from their families at the border due to the Trump administration’s heartless and cruel “zero tolerance” policy, a policy that is inflicting very real trauma on young children already fleeing violence and extreme poverty in their home countries. This Thursday, June 14, people across the country are coming together to fight back. 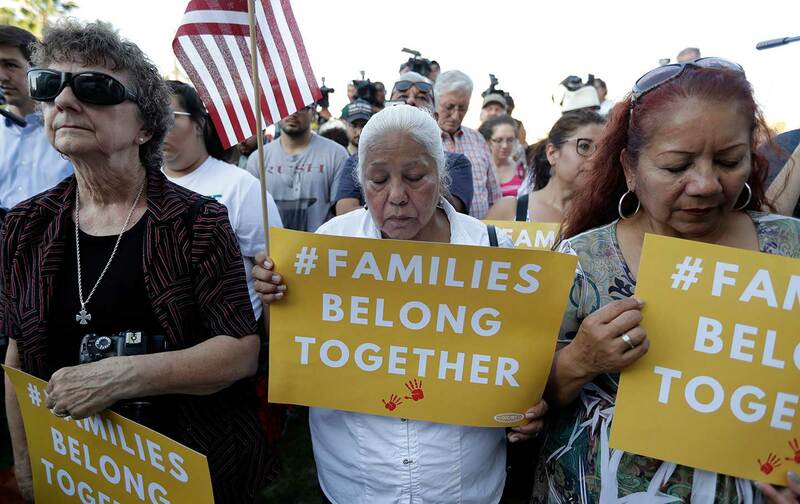 Sign up for a Families Belong Together rally, march, or vigil in your area and call for an immediate end to the separation of families at the border. To end GOP control of the house and resist Trump’s toxic agenda, MoveOn is investing in empowering MoveOn members to organize locally. Members will have the opportunity to get trained on movement-building, the essentials of campaign strategy, and grassroots organizing from experts across the country, and put what they learn into action by hosting a series of grassroots voter contact events. If you’re ready to get started (or build on the work you’ve already done), apply to become a MoveOn 2018 Resist & Win Leader. Applications are accepted on a rolling basis until Friday, June 15—so apply today!